A fast and simple sewing project by Melissa Braden of Tuesday Nights . This is a great bag for beginners and is easily customized. 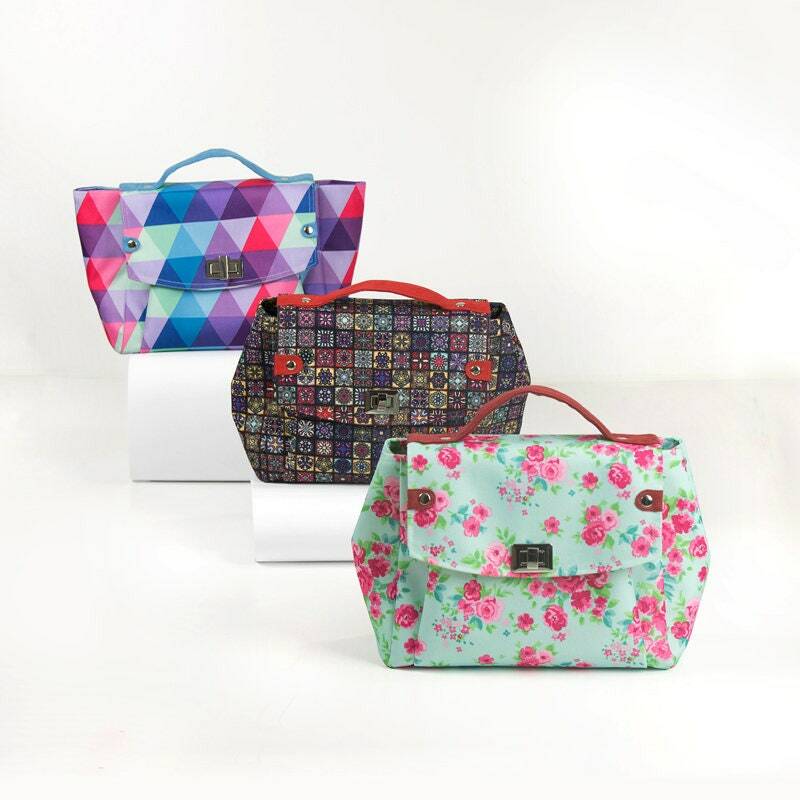 The Anna Bucket Purse digital sewing pattern includes the pattern pieces and detailed instructions with illustrations. This modern bag turns out to be spacious and attractive once finished. A welt pocket is placed at the front exterior and a zippered pocket inside.The finished Anna Bucket bag measures 17″ high x 11″ wide x 8″ deep. This bag closes with a magnetic snap.